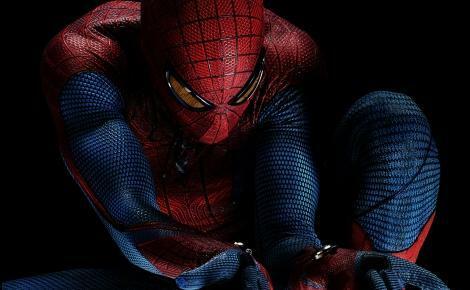 On Wednesday, “The Amazing Spider-Man” trailer has hit the web. Tobey Maguire and Kirsten Dunst, the original couple in the first movie, were replaced by the “Social Network” star Andrew Garfield, and actress Emma Stone. The new Spider-Man movie is set to a different type of character personalities than the first one. The blue-eyed Peter Parker played by Tobey Maguire gets a more seductive look through the embodiment that Andrew Garfield does. We may be used to a skinny and not very attractive Andrew, that we saw in “The Social Network”. Surprise, surprise! Andrew has been spending some time at the gym. However, like a true British gentleman, he would not discuss his Adonis body secret. “We all have secrets: The ones we keep and the ones that are kept from us.” Could we trade secrets then? What if werewolf Taylor Lautner would have answered this when asked about his amazing body transformation in the second movie in the Twilight saga? Emma Stone plays the lead female character. The 22-year-old blonde is Gwen Stacy. Stone has appeared in a series of movies before, including the high school comedy “Easy A”, which brought her a Golden Globe nomination in the Best Actress in a Musical or Comedy category. “In The Amazing Spider-Man” Peter, as a child, is left to live with his aunt and uncle. His parents never explain to him why they have made the decision to go and leave him behind. They just tell him he is much safer with his aunt. Years later, as a young man, Peter manages to sneak inside a lab, where he is bitten by a spider. From that moment on, his life begins to change radically. Garfield explains he has several reasons for which he chose to play Peter. “I related to Peter Parker so much because I felt like someone else inside,” he told Entertainment Weekly. Plus, he loves comic books. And so, the action hero trend goes on. The film will premiere July 3, 2012. Want a sneak peak at “The Amazing Spider-Man” ? Here it is!